Loctite LB 8150 Silver, aluminium, petroleum-based anti-seize lubricant paste fortified with graphite and extreme pressure (EP) additives. 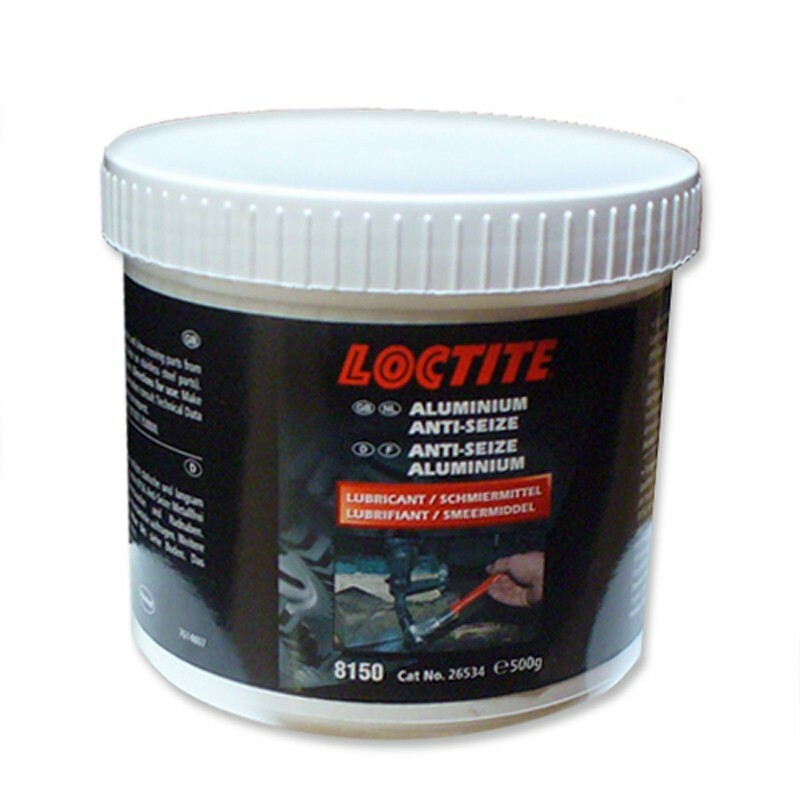 LOCTITE® LB 8150 is a silver, aluminium, petroleum-based anti-seize lubricant paste fortified with graphite and extreme pressure (EP) additives. It is inert and won't evaporate or harden in extreme heat or cold. It can tolerate high temperatures to +900°C and is suitable for assemblies where such temperatures are possible.